School Open House events, community events, and other peer-to-peer recruiting may have uncovered some new scouts for your unit this month. 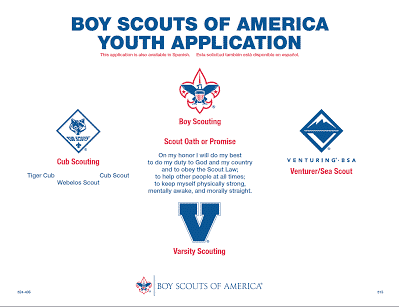 It is important that you submit the completed Youth Applications to Northern Star Scouting as soon as possible so that every new recruit can begin to work on advancement right away. Don’t wait until September when the Council Registrars are very busy due to School Night for Scouting recruitments.